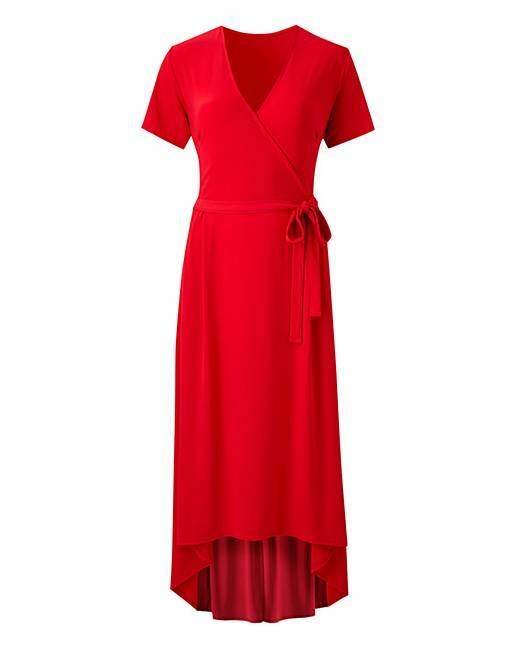 In a striking red colour, this classic wrap dress features a simple wrap detailing and asymmetric dip back hemline. 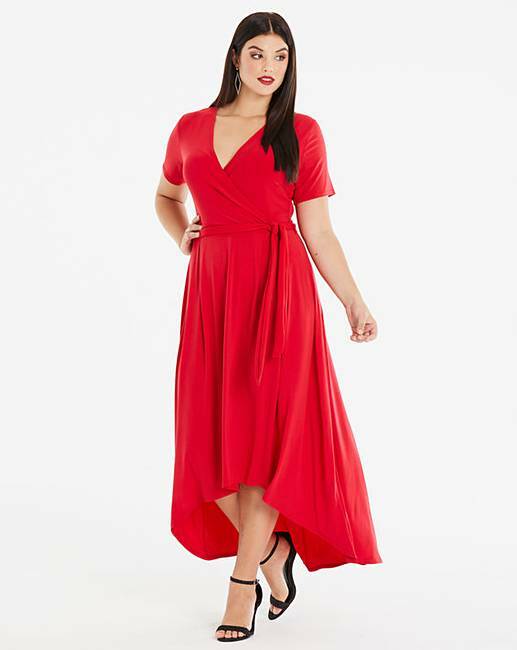 This winning style is your new everyday go to dress. Length at front: 45in/114cm. 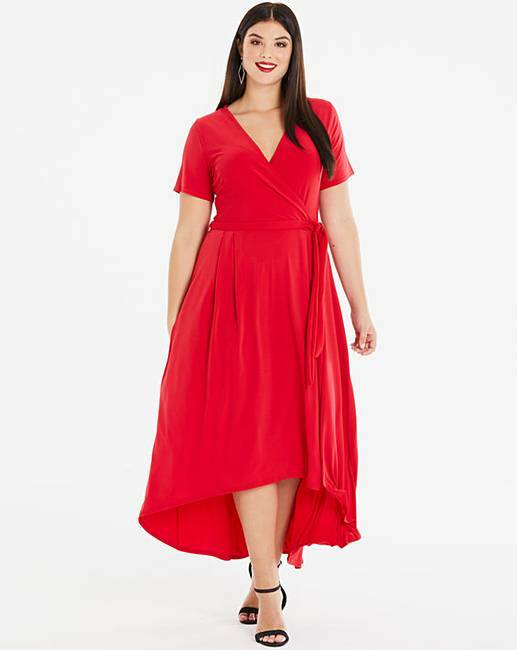 Length at back: 52in/132cm.